Buying a house. It's scary, but exciting. It's hard work, but fun work. It's taking a leap of faith. It can be emotional if it's that time of the month. Just sayin. I recently shared that the Mr. and I just closed on our first home, which we are really excited about. While you're reading this we are probably covered in dirt and paint or passed out on the floor, complaining about how much stuff we have. The home buying process for us went fairly smoothly, especially considering we are first time buyers. Of course, I turned to the web to read up on tips for buying, but was disappointed that most of what I found wasn't too helpful. 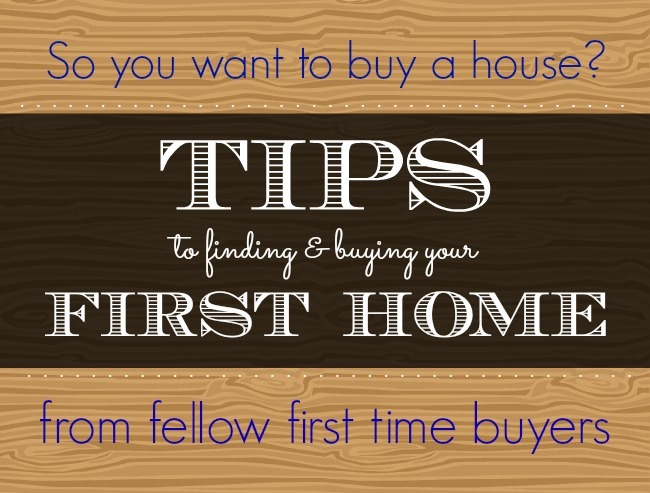 So in the hopes that it's helpful and reassuring to other first timers, here are my tips as a first time buyer. 1 | After living in an apartment for six months, we knew we needed more space and a space that was all ours. We weren't quite ready to buy, but we already knew some things we wanted in our future house. So we made a list that I kept on the fridge and every time we thought of something we wished our apartment had, I jotted it on the list. 2 | Open houses became our Sunday afternoon date. We went through the paper Sunday morning after church and went to the ones that were most appealing to us. Listing costs didn't really matter at this time, the point was to see as many houses as possible. Along with the list we had made, seeing lots of houses helped us to really determine what we wanted and what we didn't want. 3 | Per recommendation from a friend, we sat down with a mortgage lender. (It's great to have someone who specializes in first time buying because they use vocabulary you can understand. And they don't stare you down when you ask a stupid question, which I did plenty of.) She explained the different types of loans and helped us determine which option was best for us. Then we told her what we paid in rent, how much we could afford to pay on a mortgage monthly, and she figured out the price range of houses we should be looking at. This is important because she will factor in property taxes, loan interest, and an estimated insurance rate. 4 | Our realtor ended up becoming my best friend for a few months. We had great communication and after a few times of looking at houses together, she pretty much knew exactly what I was looking for in a house, besides just the basics. She could tell that I wanted a house with character, even if that meant sacrificing room size. She knew that Kyle didn't want to do a ton of remodeling to get us moved in. She knew I wanted a backyard I could entertain in. Basically, she could have made the decision for us. Take the time to find a realtor that has an interest in you and don't feel like you have to be tied down to the first one you meet. It's kind of like dating, you want to have chemistry with your realtor. We found ours at an open house; another reason why those are a good idea. 5 | Look at as many houses as it takes. Combined with the open houses we went to before we were serious, we looked at a total of 27 houses before we found ours. Yes, it was tiring. Yes, I felt like we would never decide. Yes, we felt a little like giving up. But, when we walked into the first room of our house, we knew it would be ours. All the puzzle pieces fit together for us: right size, right location, right price. At that point, all the work felt worth it. 6 | Now, I just said we knew immediately when we found our house. But it may not be like that for everyone. Ladies, if you're one of those girls that put on your wedding dress and knew right away it was the one you would wear walking down the aisle, you will probably have the same experience with house hunting. Or it could be that you have two great houses and you have to decide between them. Regardless, when you make the right decision, it will feel right. 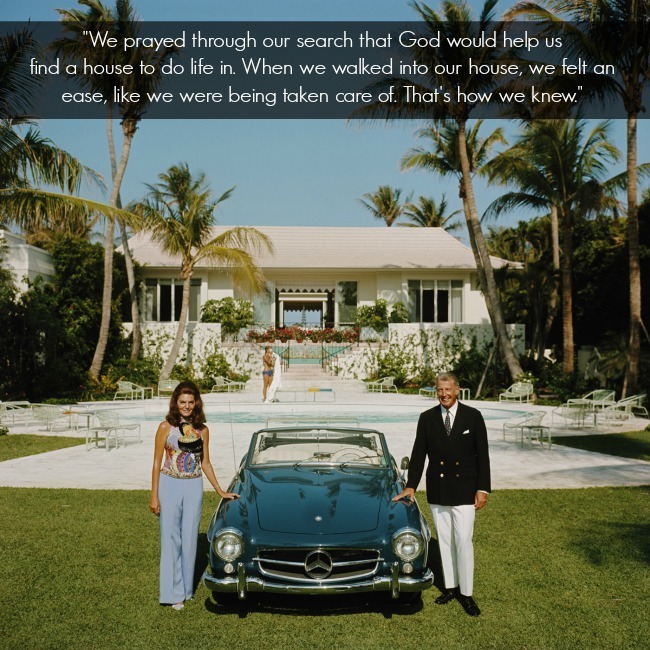 We prayed through our search that God would help us find a house to do life in. When we walked into our house, we felt an ease, like we were being taken care of. That's how we knew. Hopefully these tips will help ease you in your search for the perfect home. Be patient, give it time, and work with people you trust. Good luck, friends. Thank you for the helpful tips! I need to go to some open houses, despite prices. Maybe that will help me as much as you. Thanks for the tips! !